Reuniting Families Separated At The Border Proves Complicated A volunteer in Baltimore spends her days trying to reconnect migrant children and parents who have been separated and detained. One story illustrates why it is not necessarily simple. 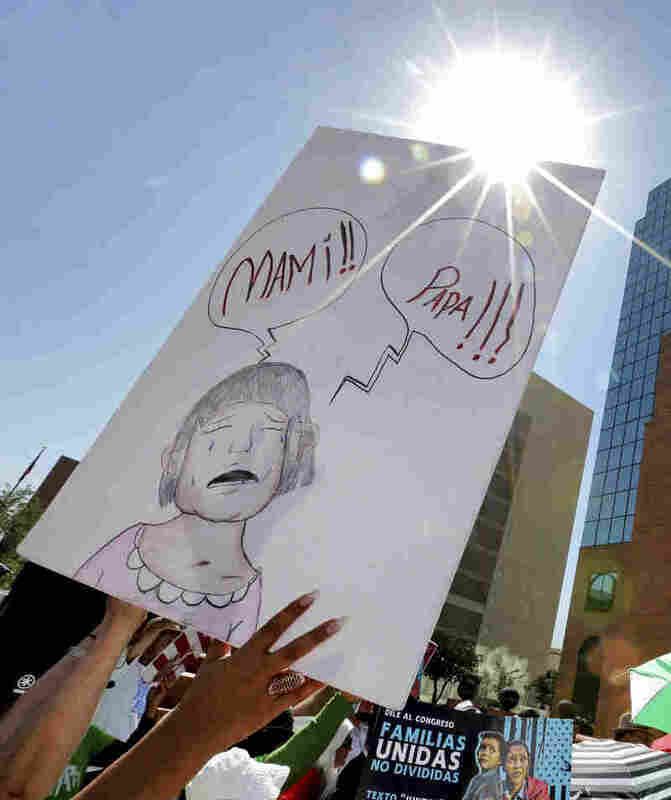 People protest immigration separation policies outside Federal Court on Tuesday in El Paso, Texas. Cases of children and families seeking refuge were being heard inside the courthouse. And, she notes, this girl is only one of at least 2,000 children still waiting to be reunited with their parents.